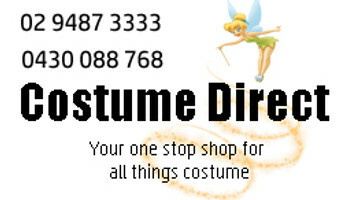 Costume Direct is the one stop shop for amazing Women's Christmas costumes! These costumes all come with fast shipping from Sydney, Australia. Buy Womens Christmas costumes this Christmas season from Costume Direct to make things just that bit more fun! Get into festive mode in a luxurious Mrs. Claus costume, or sing sweet melodies in an enchanting Angel costume! Help Santa out this Christmas decked out in an adorable Elf costume, or celebrate a White Christmas fittingly - in a sensational Snowman costume! From gingerbread to snowflakes, you'll be the icing on the top of the fruitcake this Christmas! Spread Season's Greetings this year with the help of CostumeDirect.com.au!